The story of 1.2 billion people living in 54 nations in the African continent is poised to change considerably and could be the big story of the next decade. South Africa, Nigeria, Egypt and Algeria are among the largest economies on the continent (International Monetary Fund, World Economic Outlook 2015). However political, economic, and social transformation varies greatly among African countries. Looking into the very largely rural, agricultural and mineral rich African continent, which has developed at an alarming pace in recent years and yet the latest global poverty trends show the incidence of poverty remains unacceptably high in certain African countries. In this context, the African Development Bank Group (AfDB) plays a vital role in supporting African countries by providing a safe foundation for economic growth progress that contributes towards social stability and helping foster Africa’s growth agenda. In addition, African Development Bank (AfDB)s forty years of experience has demonstrated the ability to finance over 2800 operations amounting to US$ 47.5 billion dollars helping millions of people in African countries (the South African Development Community, 2007). Established in 1964 the African Development Bank Group (AfDB) is based in Abidjan in Ivory Coast. 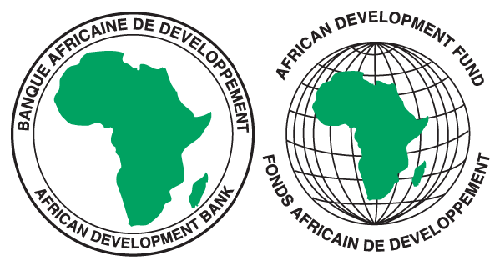 The African Development Bank Group is made up of the African Development Bank (ADB), the African Development Fund (ADF) and the Nigeria Trust Fund (NTT) coming into force in the mid-70s. Today, in order to fulfill its many functions on the African continent, the African Development Bank Groups’ objective is to spur sustainable economic development and social progress in its regional member countries (RMCs), thus contributing to poverty reduction. Over the next 10 years the AfDB intends to pay particular attention to supporting fragile states, strengthening agriculture and food security, and increasing the capabilities and opportunities of women and girls. As of 2014, the AfDB approved US 2.50 billion in loans and grants focusing ON sectoral investment to develop infrastructure in African countries to face future challenges. As part of its strategy, a significant impact was observed on the ongoing initiative to support agricultural and rural development by extending US 488.3 million to enhance the NATURE of the farming sector in Africa (African Development Bank Group 2016). Over the decades, numerous success stories have been witnessed by the African Development Bank Group (AfDB). The years 2016 represents an important milestone for AfDB in Africa’s growth story. To ensure future success of the region the AfDB funded the Multinational Uganda-Rwanda Busega-Mpigi express highway project with a loan of US$ 151 million, the second phase of the Egypt Economic Governance and Energy Support Program was financed with a US$ 500 million and the African Development Bank (AfDB) partly financed Ethiopian Airlines expansion plan and a fleet to modernization program with US$ 159 million dollars (African Development Bank Group 2016). In fact, renewable energy can play an important role in meeting the demand for electricity in Africa. AfDB reached remarkable achievements in South Africa, where the bank financed US$ 50 million out of 95 million in a wind energy farm to provide electricity for more than 120,000 homes. In Africa today 300 million people lack access to adequate water supply and sanitation facilities. An agreement was signed between the African Union and African Development Bank in 2014 to improve access to rural water supply and sanitation for 5 million people (African Development Bank Group 2016). AfDB has published a number of policy documents over the course of the last few years. Feed Africa- Strategy for Agricultural Transformation in Africa 2016-2025 analyses the conditions in African countries and provides insights into the progress made towards achieving Sustainable Development Goals (SDGs). As a new driver of growth, the financial institution is a vital part of the overall development of Africa. The Financial institution’s commitment had shown much improvement on most fronts of development in the continent.